Visitors look like toys in these aerial photographs which reveal an impressive split landscape where two lands meet. 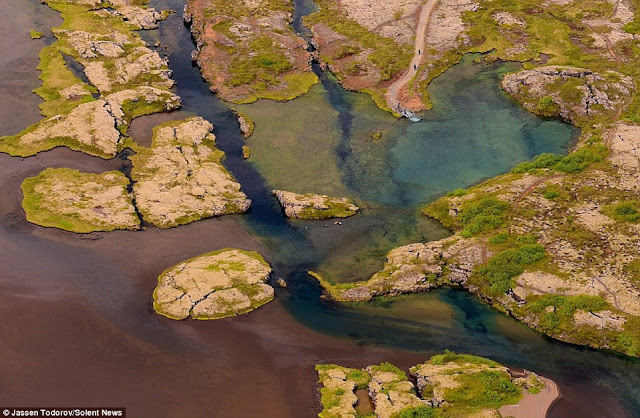 The “dramatic terrain” the join between two tectonic plates is widespread with travelers who are curious to explore the natural wonder on land and underwater. Thus, the splits in the land, which has several faults, volcanoes, valleys, and hot springs, are caused by the Eurasian and North American plates in Iceland pulling apart. 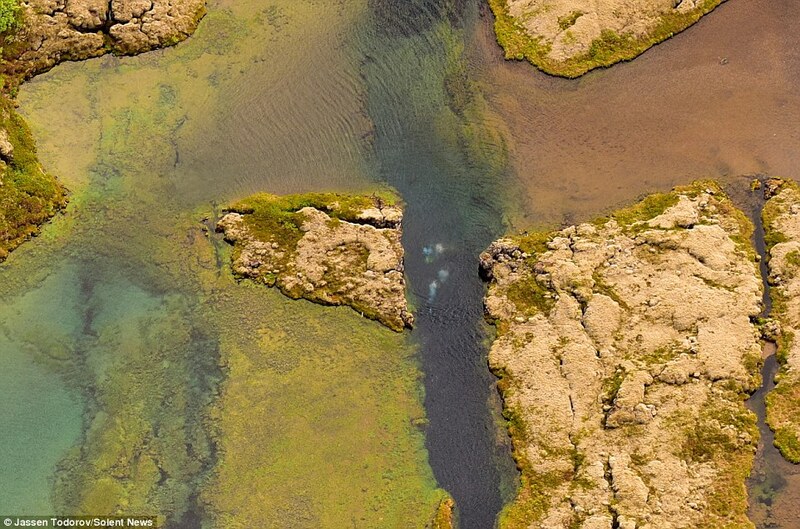 Therefore, some of the rifts are filled with majestic clear cold water where divers can every so often be seen exploring the underwater crevices, which can be up to 200ft deep. The crystal clean water is colored by the sand, silt and other minerals at the bottom and the deeper rifts can be visibly seen from above. 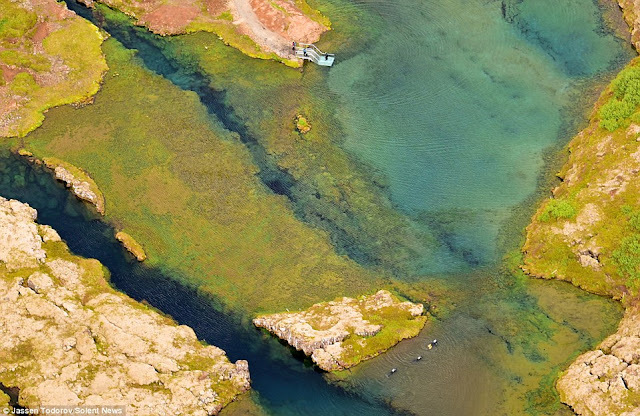 If you want to take the colorful photographs “Jassen Todorov” a 40 years old photographer, flew in a Cessna 170 plane around 600m high. 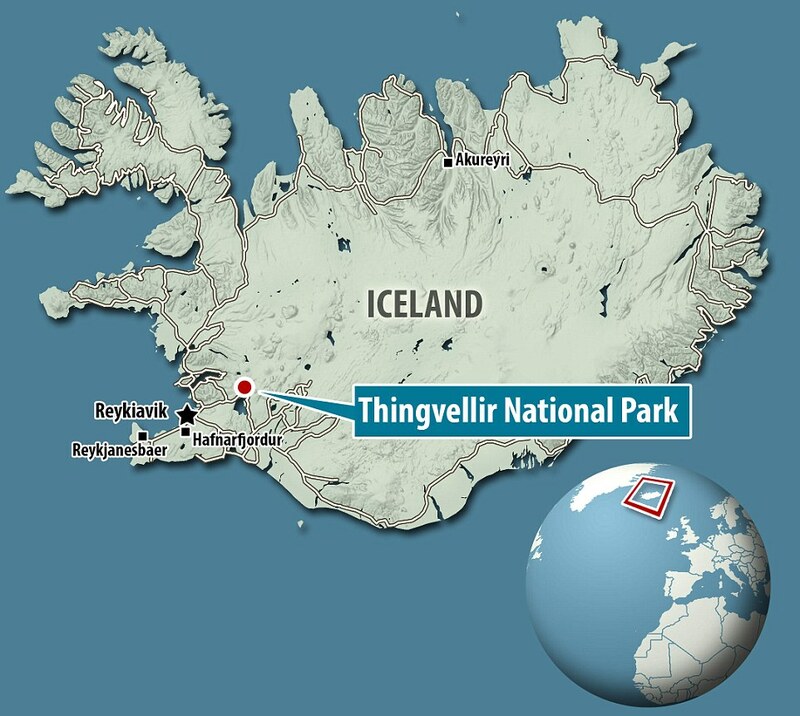 He’s professor in San Francisco State University, in California, USA, explains there were more than 300 people visiting Thingvellir National Park, in Iceland. The beautiful divide splits Iceland in two and it is very impressive to see from above. This is really a natural wonder to see once a life. Well, the incredible 35 mile long Neat Gotthard based tunnel construction has completed actually the world's longest and deepest railway tunnel, in Switzerland. 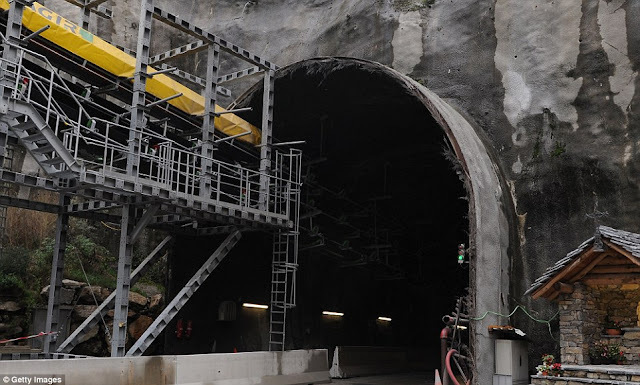 The Tunnel has now surpassed Japan’s 14.5-mile Seikan Tunnel, which connects the main island of Honshu with the northern island of Hokkaido. The tunnel will transport passengers from Zurich to Milan in about two hours and fifty minutes, saving an hour off current travel time. 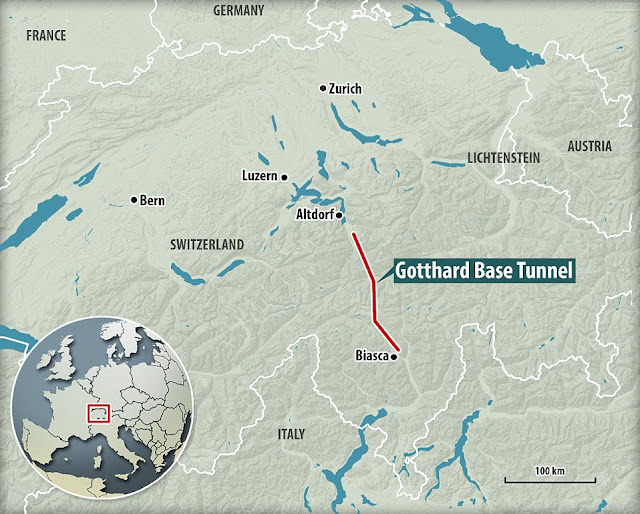 The NEAT Gotthard Base Tunnel, opens to the public on June 1 2016, measuring 35 miles, it surpasses Japan’s 14.5-mile Seikan Tunnel. The mega projected was planned in 1996, and it took almost 20 years to complete. 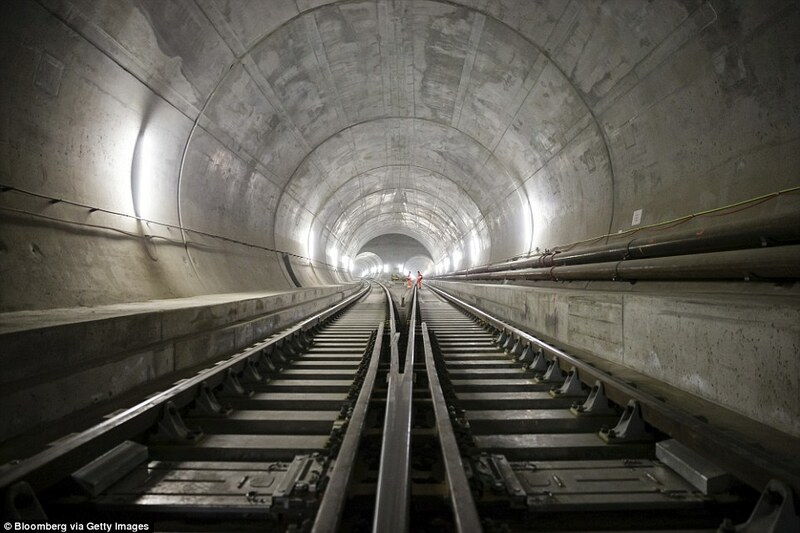 The ambitious project was funded by Switzerland at cost of around $10.3 billion or £6.5 billion. 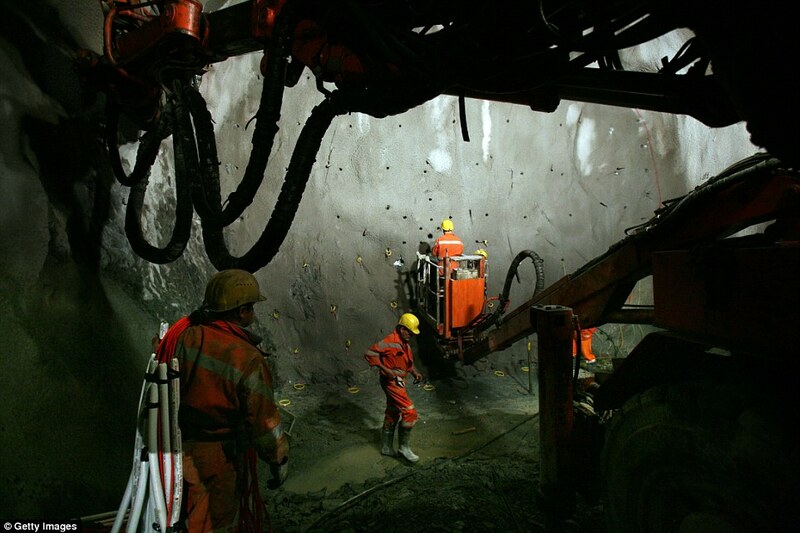 More than 2,000 workers were drafted in to excavate over two million truckloads of earth from as deep as 8,000 below the surface of the earth. Due to the rugged terrain of the Alps, linking imperative cities, such as Milan and Zurich is no mean feat, but highly thanks to the tunnel being almost completely flat along its entire length, trains will soon be able to travel at over 150 miles per hour. 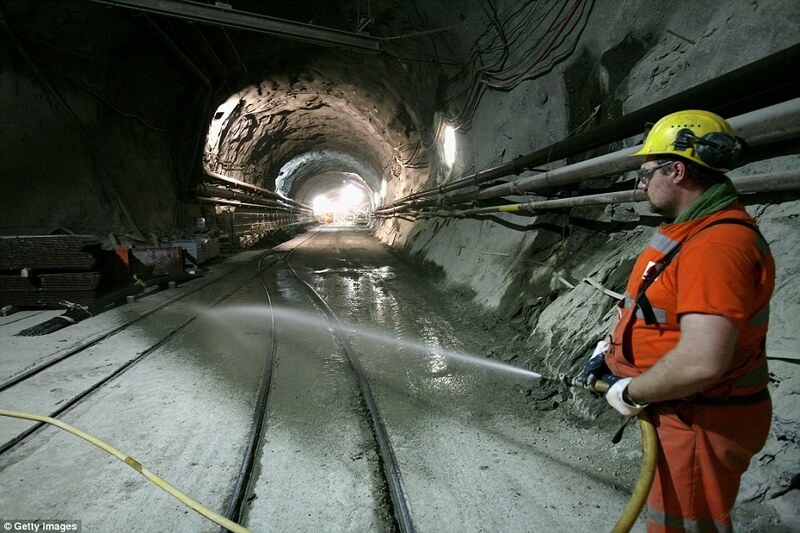 Therefore, excavation involved huge tunnel boring machines cutting through almost 100 feet of rock every day. It was a dangerous process, and tragically eight workers died during construction. 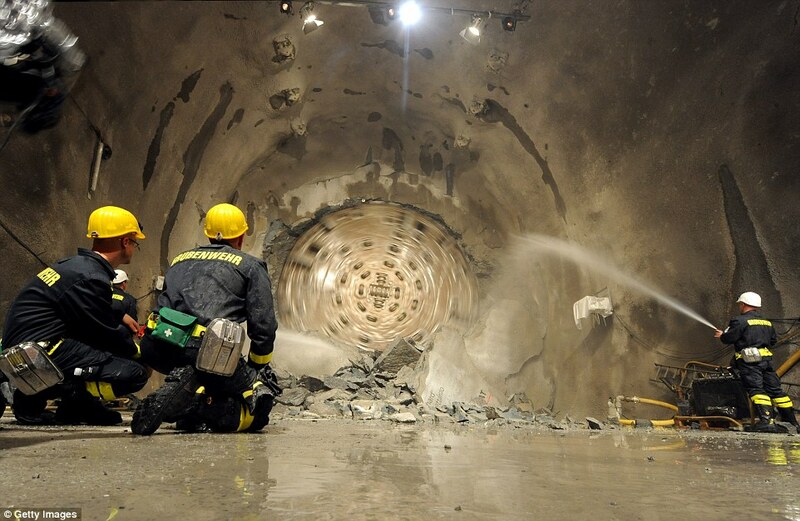 The first safety tests will take place in October 2015. So far all scenarios will be considered and tested. 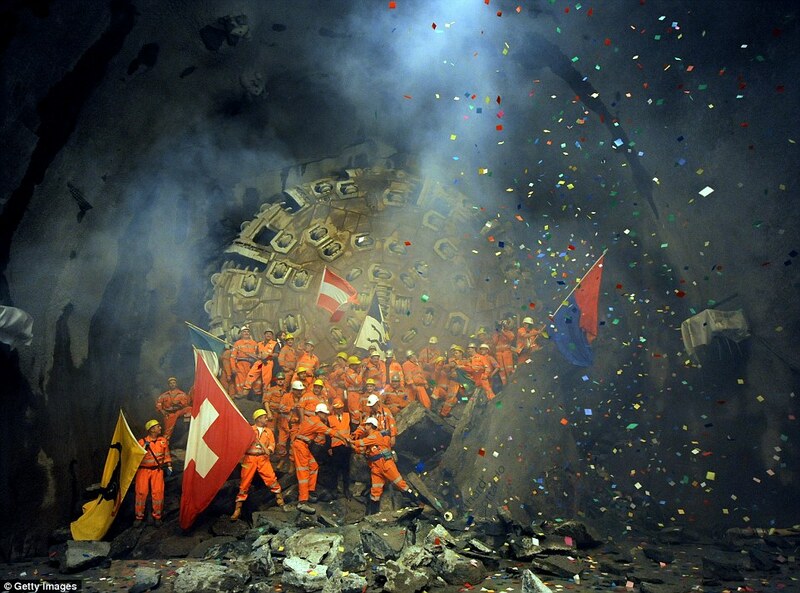 After opening the tunnel, it will be the safest stretch of the Swiss railway network. Moreover, in January 2016, thousand people will be selected to take the first voyage. 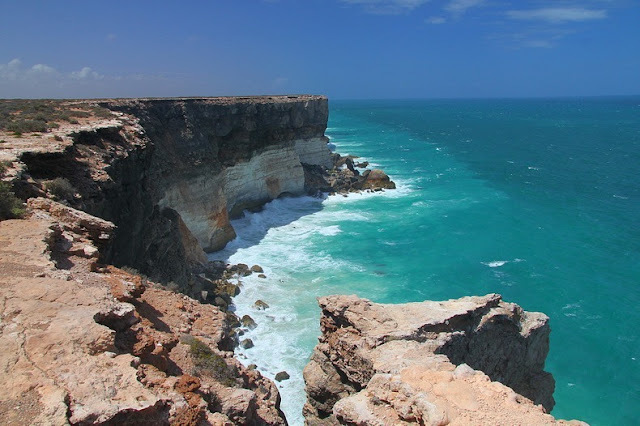 “Bunda Cliffs” Where the Earth End? 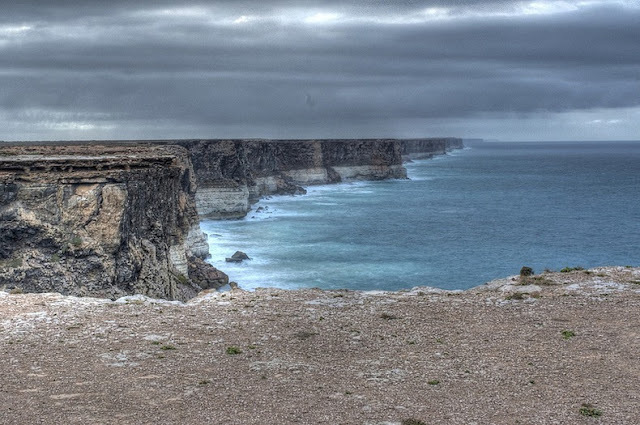 Bunda Cliffs is located on the Great Australian Bight in Southern Australia, is the vast, featureless Nullarbor Plain (is part of the area of flat, almost treeless, arid or semi-arid country of southern Australia), actually the “world’s largest single piece of limestone”, covering more than an area of 270,000 square kilometers and stretching over 1,000 kilometers from the east to the west. The area is so flat that the Trans Australian Railway runs across its surface for about 483 kilometers in a fully straight line. 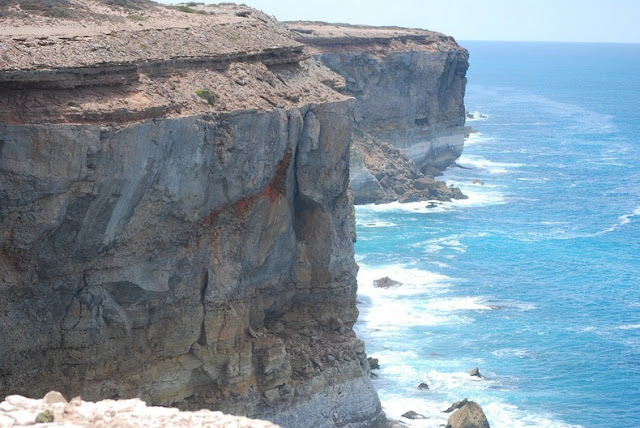 However, on the surface of the plain there are areas of slight depressions where sparse rainfall has slowly dissolved away some of the limestone. 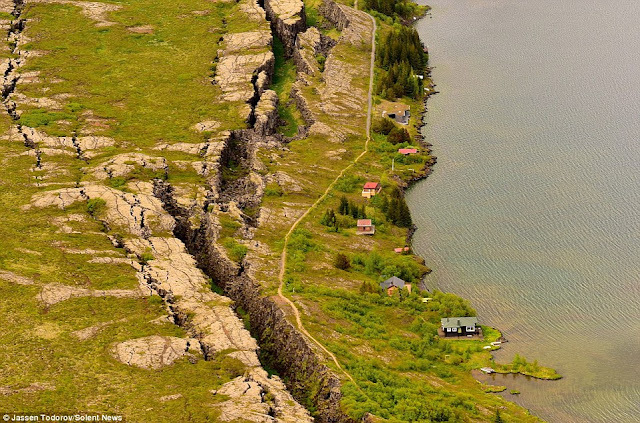 There are also places where underground caves or sinkholes have collapsed to form dents in the surface. But mostly, the plain is horizontally flat and devoid of trees, as its Latin name recommends. 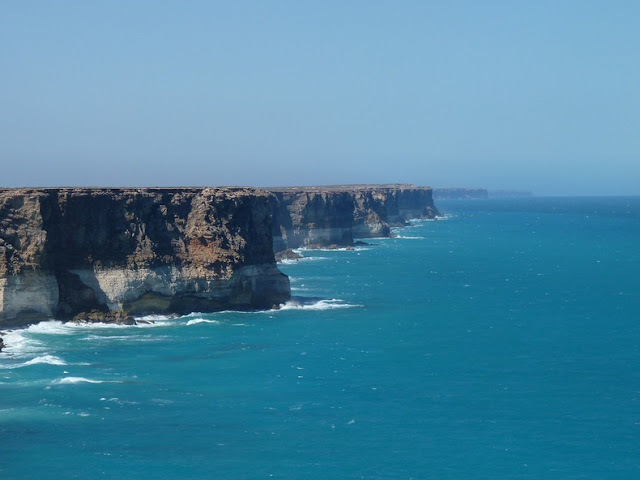 The “Nullarbor Plain” ends brusquely at the remarkable “Bunda Cliffs” containing over 200-kilometer-long precipice curving around the Great Australian Bight. 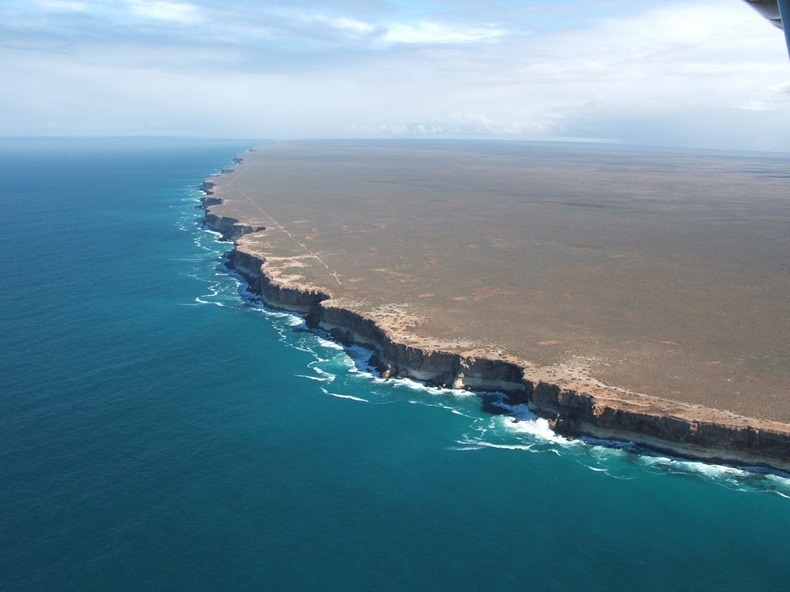 Bunda Cliffs form the southern edge of the Nullarbor Plain which extends far inland. The white colored base you see near the bottom of the cliff face is Wilson Bluff Limestone. 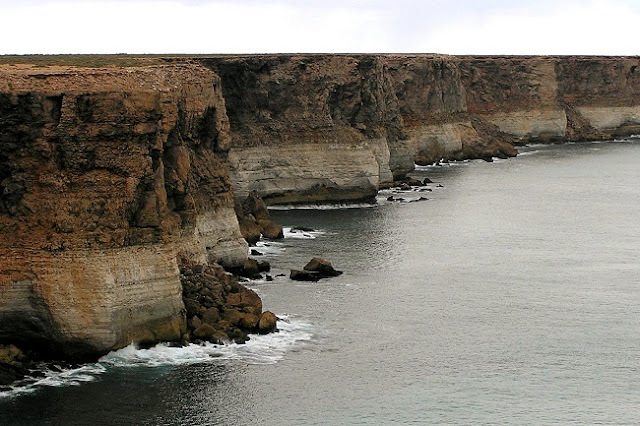 This chalky material made as part of an ancient seabed when Australia started to separate from Antarctica 65 million years ago. This Wilson Limestone is up to 300 metres thick but only the upper portion is visible in Bunda Cliffs. 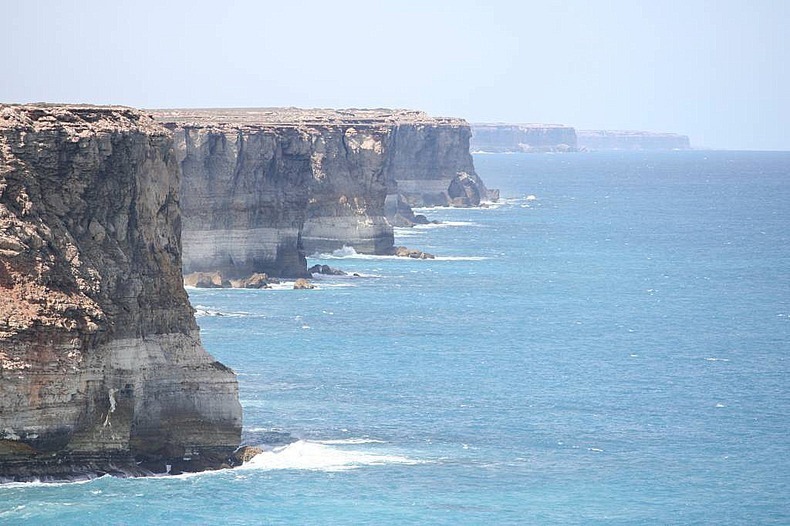 Moreover, above the white Wilson Limestone are whitish, grey or brown layers of limestone or crystalline rock. Few layers incorporate marine fossils as well as worms and molluscs indicating their marine origin. So, other layers are created with entirely of marine sediment (foraminifera). The Bunda cliffs are capped by a hardened layer of windblown sand laid down between 1.6 million and 100,000 year ago. 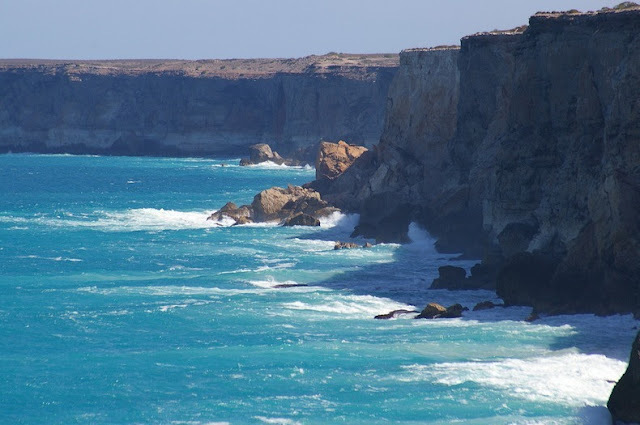 These majestically beautiful cliffs are some 60 to 120 meters high and sheer, and can be easily viewed from numerous viewing points along the Eyre Highway east of Eucla and west of Nullarbor roadhouse. However, they are better appreciated from the air. The Eyre Highway, Australia’s main east / west link, follows the line of this remarkable coast less than a kilometer inland. 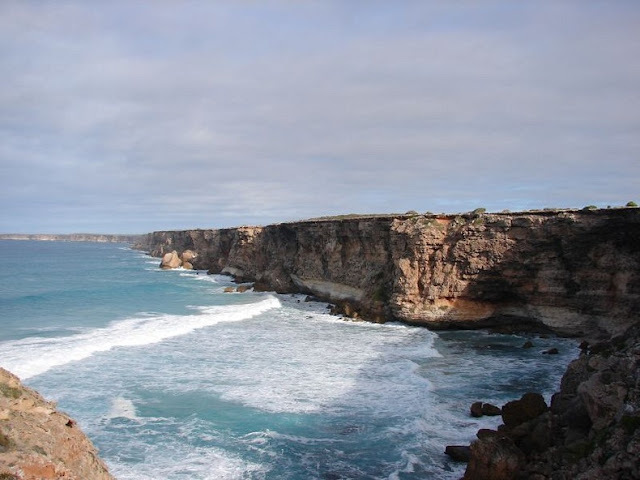 The highway was named after Edward John Eyre, who along with John Baxter and three aboriginals, set off from Fowlers Bay in 1841 in an attempt to reach Albany in Western Australia across the Nullarbor Plain. Though, lack of water and dangerous hardship gave rise to a mutiny and two of the aboriginal boys shot John Baxter and absconded. 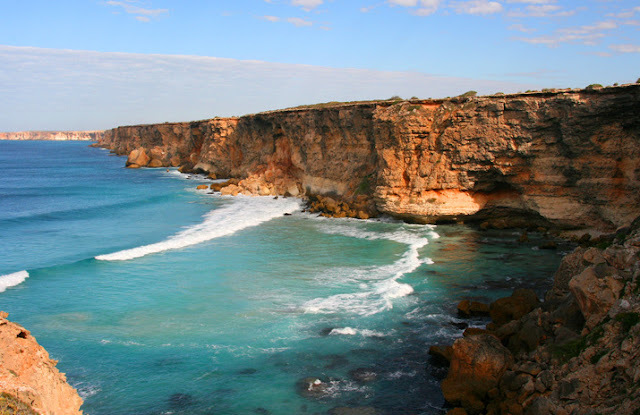 Eyre and the third Aborigine, Wylie, continued on their journey and completed the crossing in June 1841. The Eyre Highway was laid precisely a century later in 1941. Therefore, more than a distance of 85 kilometers along the highway, there’re 5 main lookouts on the cliffs with signed, gravel access roads from the highway. 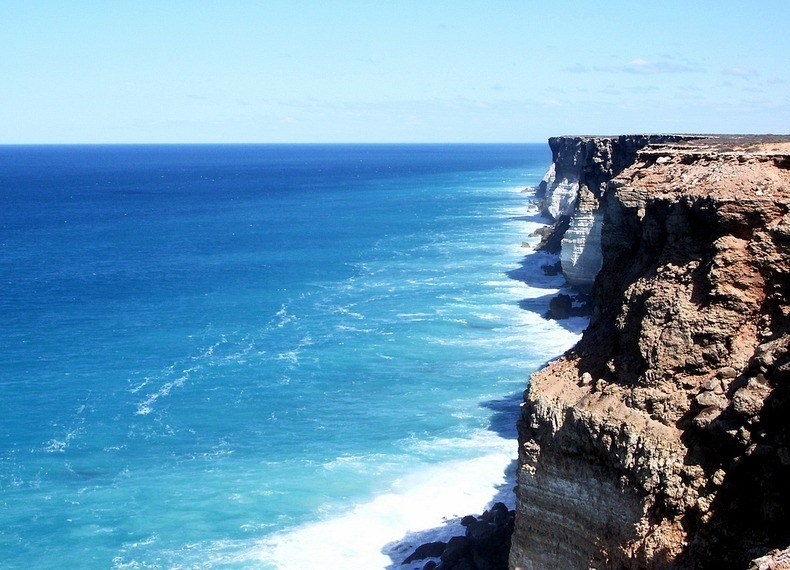 The western lookout is the most admired because tourists can walk to piece of rock jutting out of the cliff that provides a vantage looking point. At the eastern end of Bunda Cliffs there is a lookout at the Head of the Bight where tourists can stay for hours watching Southern Right Whales in the ocean below the cliffs. Whereas on the Southern Right Whales migrate from the sub-Antarctic in the autumn and give birth to calves in inshore water along the southern Australian coast, and then remain in the vicinity for months while the calves put on weight. 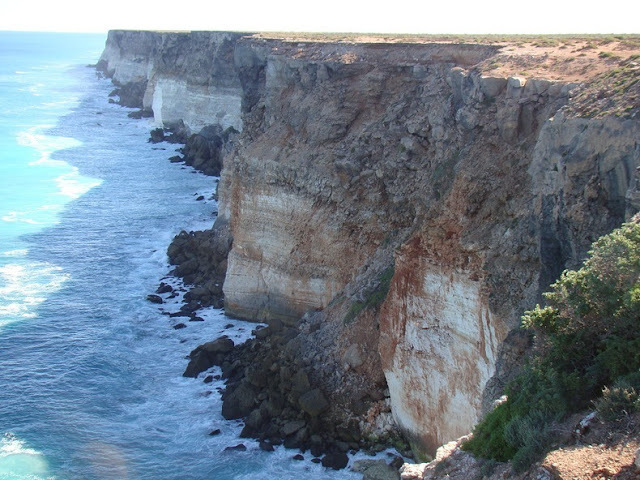 Head of the Bight is one of these calving-mating grounds. If you want to see them, then there is a charge but then there is good viewing without environmental damage small price to pay. These days, no country can negate the importance of motorways. The developed countries are making roads in a systematic and planned way to meet the future travel needs. When you look around, you’ll amaze the complex structure of bridges, bridges, flyovers and tunnels. 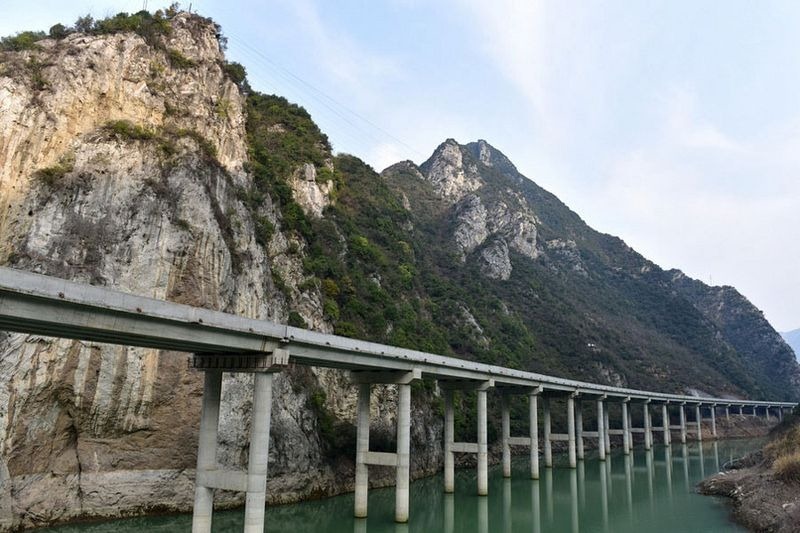 One of super power China has opened a new stretch of road that interlinks Xingshang County to the Zhaojun Bridge in central China’s Hubei province. The motorway is four kilometers long section of the ten kilometers route is built on top of an elevated bridge that runs along the middle of a river valley. 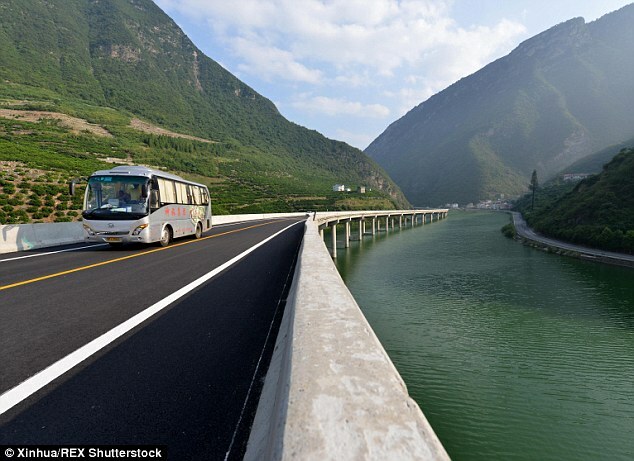 The latest route will cut down 20 minutes travel time from Xingshan to the Yiba Expressway, and at the same time drivers can have remarkable scenery. 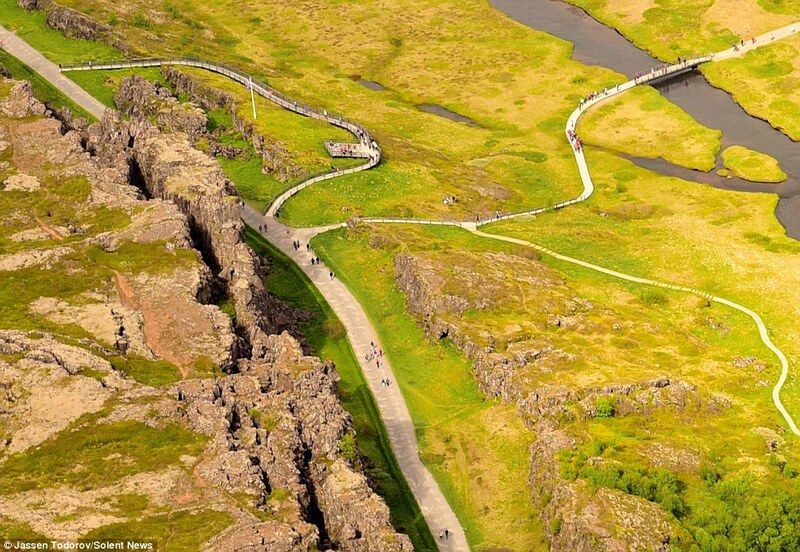 The transit time originally took close to an hour along a steep and convoluted road. “Chen Xingda” the project manager of the road says, when the idea of motorway was first proposed in 2013, there were three different possible routes available. However, two of the routes comprise digging a tunnel through the mountains in the area. Therefore, the third option was a longer route and involved building on water. After a long consideration the project engineers opt to select the third option because that would enable them to protect the large quantity of plants and woodland in the mountains. 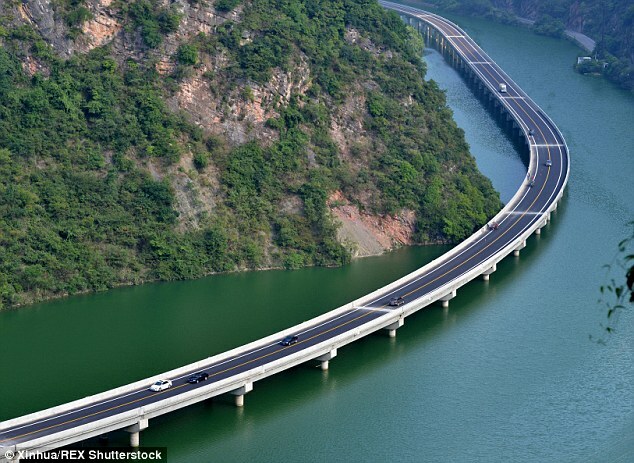 Those involved in the project claim this to be China’s first “ecological overwater road”. 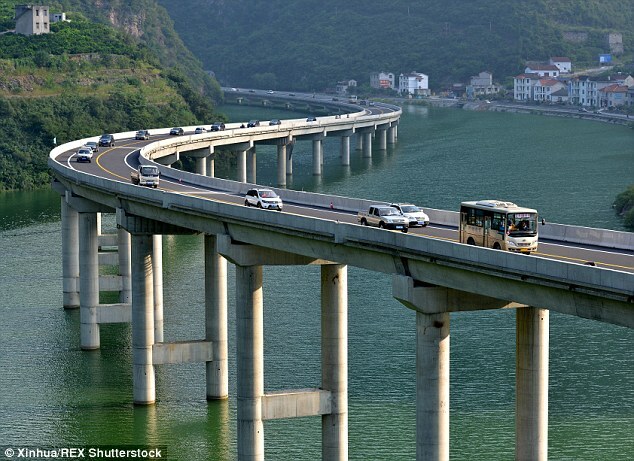 The overwater highway cost US$320,000 (about 2 million yuan) to construct which was approximately half of the $700,000 (4.4 million yuan) it cost to build the entire thing. 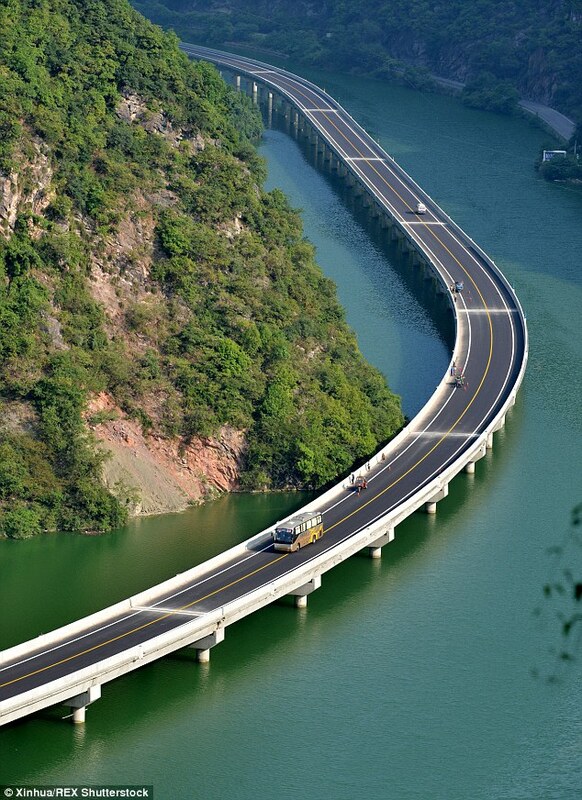 The stretch of this motorway has recently completed in Xingshan County of China’s Hubei Province. 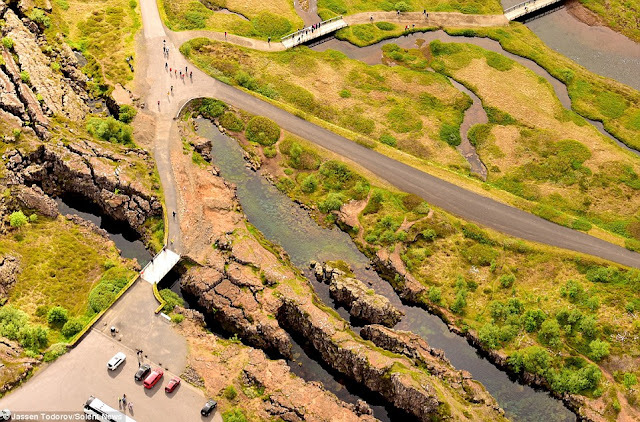 Are the bridge’s creators crazy, or crazy like an ecologically minded fox? 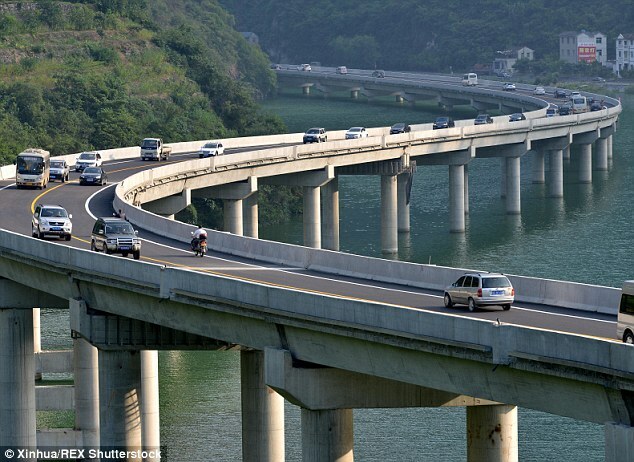 We’re sure, once you see the pictures; you’d entice to drive on this motorway. Check out the most anticipated overwater motorway in the world. The video compilation of drone footage is captured in a recent 8-day trip to Iceland by Blue Racer Productions. 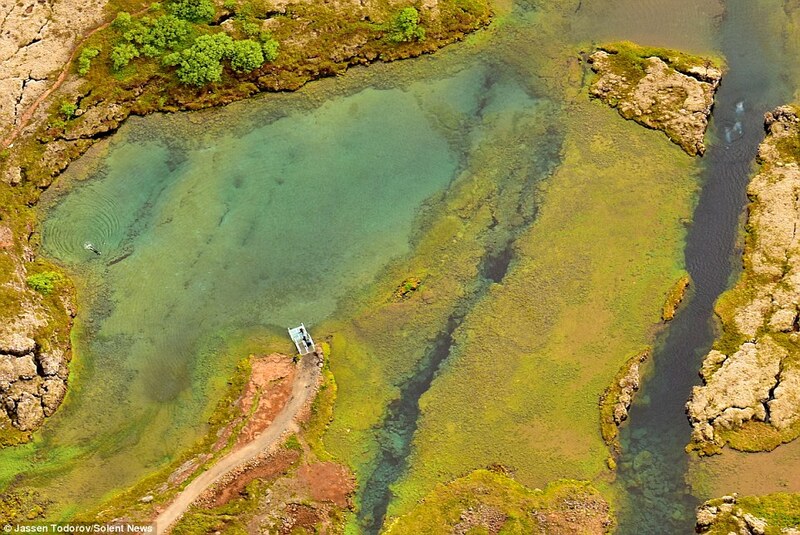 All extremely beautiful footage was shot on the DJI Phantom 3. On the banks of the river Nidd, near the town of “Knaresborough” in North Yorkshire, is one of the oldest “entrance charging” tourist attraction in England. It’s a scary well that was once believed to have been cursed by the devil, for whatsoever object the dripping waters touched, had been turned to stone. The leaves of creepers, sticks, even dead birds. Folks also observed the side of the well looked like a giant’s skull. 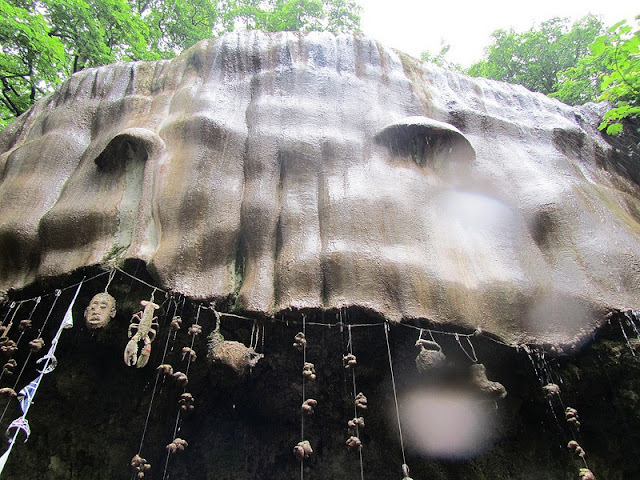 Most people escaped it because they thought that they too would be turned to stone if they touched it. The daring ones started leaving everyday objects adjacent the waterfall to watch them slowly turn to stone over just a few weeks. 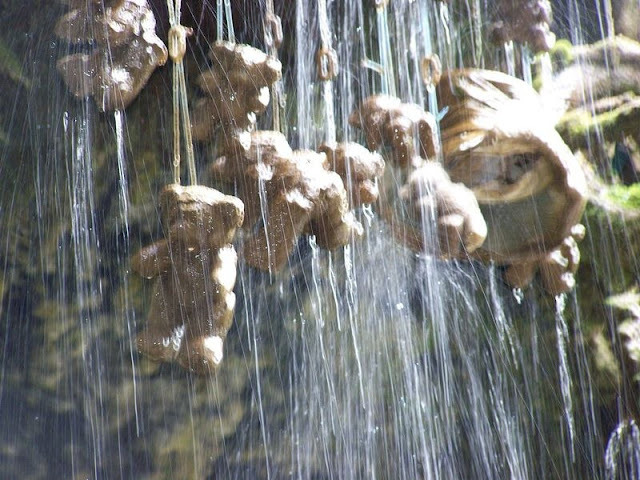 You can spot a Victorian top hat and a lady’s bonnet left at the waterfall in 1853 and other trinkets like teddy bears from in recent times. The initial written reference to the well was by John Leyland, antiquary to Henry VIII, who stayed the well in 1538. 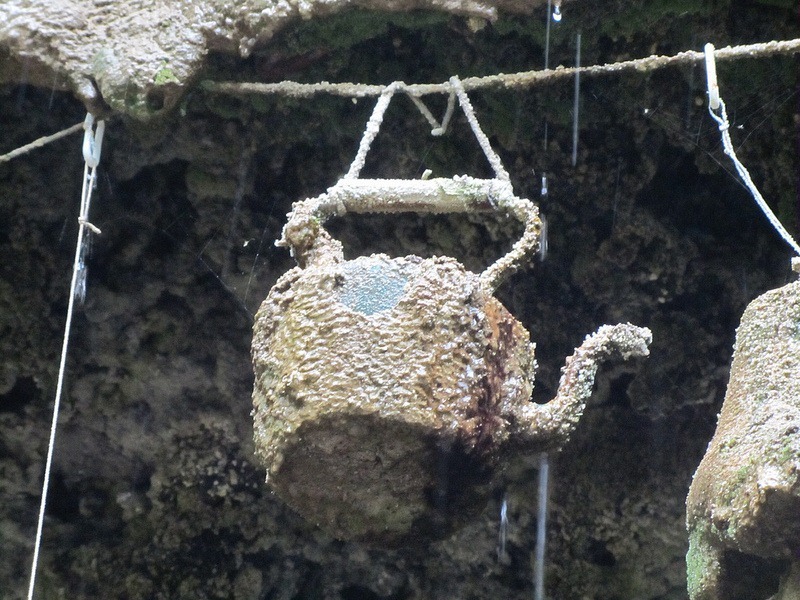 He wrote that the well was very familiar and visitors drank and showered under its falling waters, as they were thought to have phenomenal healing powers. 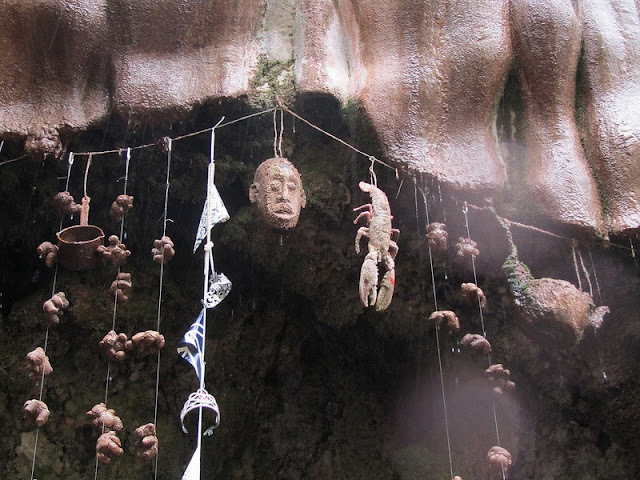 However, around this time, the legendary soothsayer and prophetess Ursula Southeil, who is better recognized as Mother Shipton, started to gain fame. According to the “Mother Shipton”, a local prostitute daughter was born in a cave, now identified as Mother Shipton Cave, not far from the cursed Petrifying Well. Mother Shipton was reputed to be shockingly ugly, even as a baby, which was attributed to her father being the devil. Since her juvenile, Mother Shipton distorted body aroused the curiosity of her neighbors. But Mother Shipton gave them a lot of other things to talk about with her lyrical prophecies, i.e. “Nostradamus”, Mother Shipton is said to have prophesied the Great Fire of London in 1666, the defeat of the Spanish Armada in 1588 as well as the invention of cellular phones. 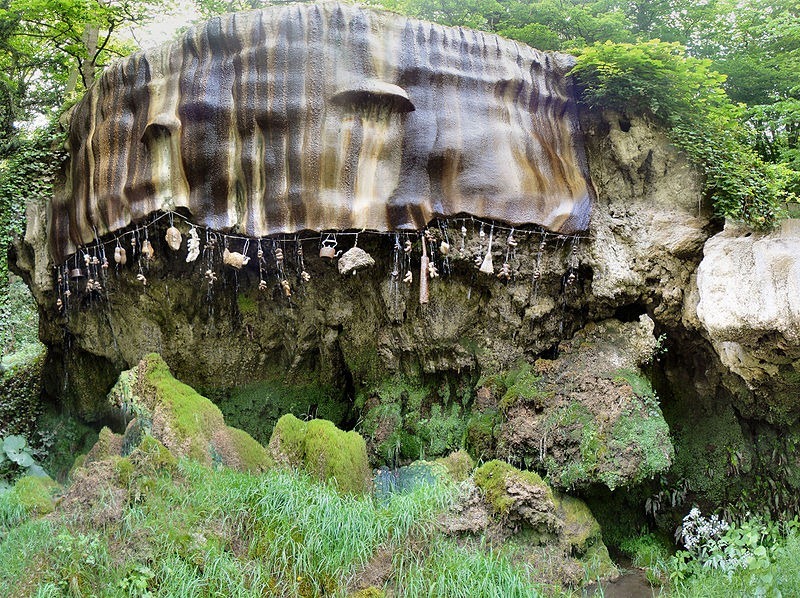 As Mother Shipton bad reputation grew, so did the notoriety of the petrifying well. 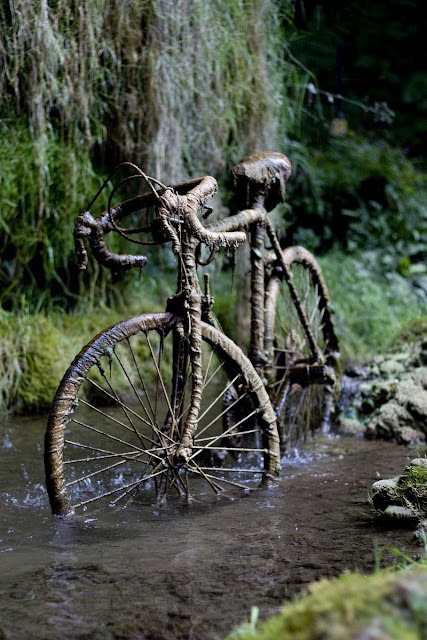 However, in 1630, “King Charles I” sold the land where the Petrifying Well sits to a local gentleman named “Sir Charles Slingsby”. By then the well was so renowned that Slingsby began charging peoples for guided tours around it. In doing so, “Slingsby” mistakenly created England’s first visitor attraction. Finally, scientific analysis of the water exposed the magic behind the petrification process. The water has rich mineral content that precipitates over objects forming a hard shell of mineral over it in much the same way as stalactites and stalagmites form in a cave. Is it amazing; however, is the speed at which petrification occurred. 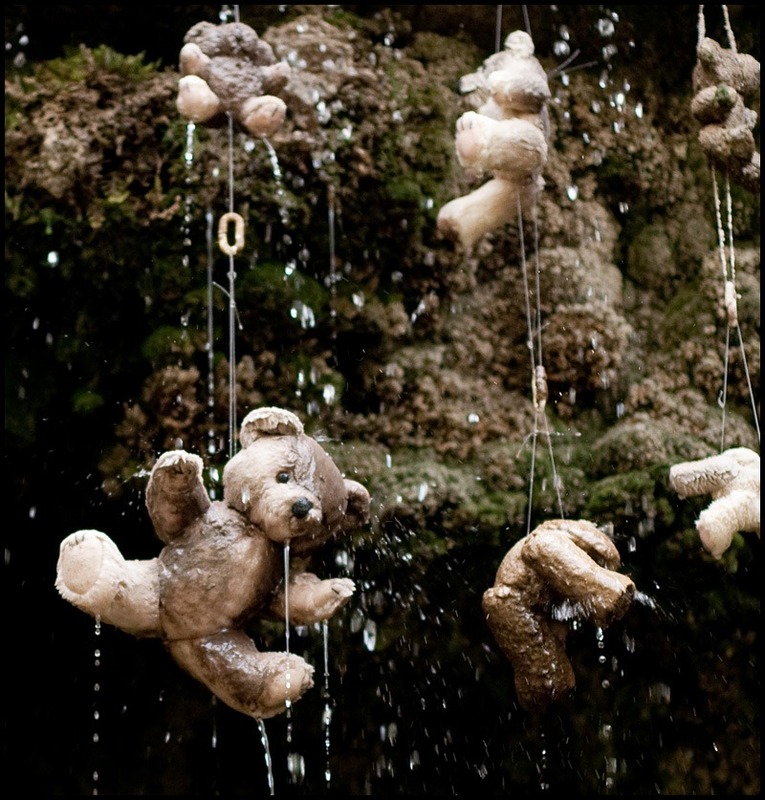 Rather than centuries, little toys like teddy bears can petrify in just 3 to 5 months. Teddy bears are so popular because they’re porous which permits water to soak in and petrify the toy inside out. Other has left personal items such as rings and clothing, kitchen utensils, and even a bicycle.